Rebecca and Sean were married on a beautiful sunny Sunday in an understated garden wedding. The bride was chic perfection in a strapless satin gown with elegant ruching, while her husband-to-be looked sharp in a blue suit that was perfect for their spring wedding. Rebecca shared a First Look with her father, in the grand foyer of the main house to greet him before they walked down the aisle together. It was so heartwarming to see father and daughter share such a memorable moment together before the ceremony. After exchanging vows under the gazebo, Rebecca and Sean basked in their love while john myers photography expertly captured their romance throughout various portraits around the property. Guests enjoyed themselves at cocktail hour under the fairy lights in the garden before the bride and groom joined them for dinner and dancing on the pavilion. Personal touches, including a world map for family and friends to sign in lieu of a guestbook, helped make the entire day a truly intimate affair. 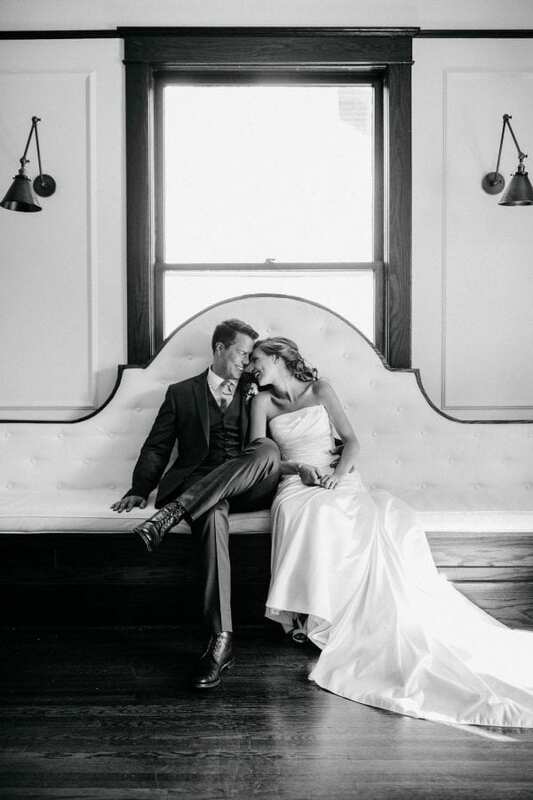 Congratulations to Mr. and Mrs. Grady, and thank you john myers photography for the gorgeous photos!